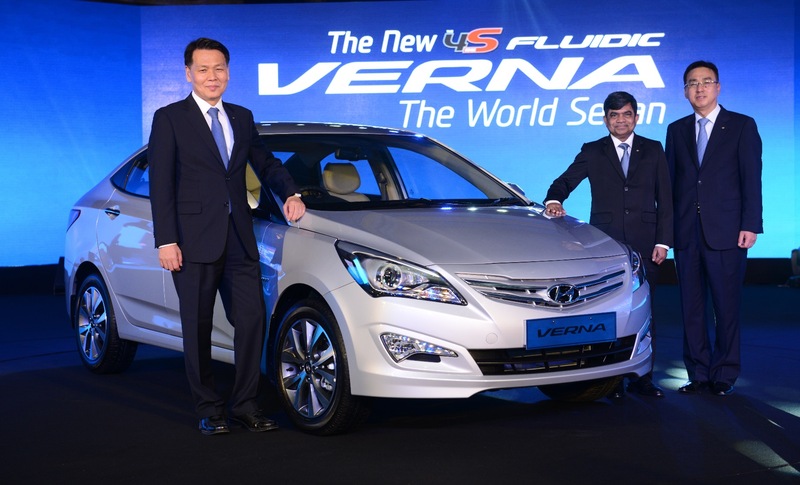 Hyundai Motor India Ltd launched the all- new 4S Fluidic Verna. First introduced in the year 2006, Hyundai Verna has spread customer delight in 66 countries caring for over 2.3 million customers across the world. The all- new 4S Fluidic Verna will set yet another benchmark in the mid high sedan segment. The new 4S Fluidic Verna is sold globally in over 66 countries. The Verna has been globally developed for markets worldwide. The R&D team in Korea conducted research and study to understand the customer needs for the road condition, climatic condition and driving habit to meet customers in various other markets as per the standard and expectations. The car has been tested in the harsh conditions of Death Valley- USA to freezing conditions in Russia, to treacherous conditions of China to Frozen Lake of Sweden. Qualifying the Global Safety Test, receiving high 5-star ratings from N-CAP worldwide, has made Verna the safest mid-size car. 4S Fluidic Verna has also been rated “Good” by US government insurance institute for Highway safety. Verna will be available in 10 variants with choice of M/T and A/T and 5 variants in Diesel and 5 in Petrol. The 4S fluidic Verna will be available in 5 exciting colours.